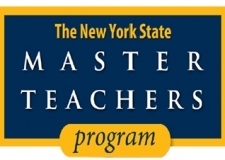 Applications for the New York State Master Teachers Program—a new statewide initiative that brings together outstanding, experienced science and mathematics teachers from grades 6 to 12—are being accepted from July 1 to August 1. 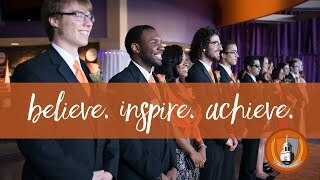 Largely based on the successful Math for America program, the Buffalo State Master Teacher Fellowship program provides an opportunity for mathematics and science teachers to deepen their practice and strengthen their leadership skills through professional development and enrichment. The program includes stipends of $60,000 over four years; provides support for conference attendance; and offers opportunities to attend, design, and/or lead high-quality workshops. Master Teachers will acts as mentors to early career and preservice educators, presenting at national conferences, and organizing other activities within their schools and/or the Western New York mathematics/science teaching community. The fellowship is open to grade 6 through 12 mathematics and science teachers who have completed their fourth year of teaching by the start of the fellowship. 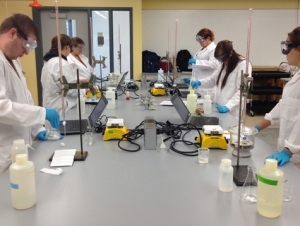 One of four host campuses from across New York, Buffalo State has a proven track record in the area of education in general and mathematics and science teaching in particular. Master Teacher Fellowship recipients will be announced on September 1. For more information, contact David Wilson, associate professor of mathematics, at (716) 878-6218; David Henry, associate professor of elementary education and reading, at (716) 878-5619; or e-mail MSMT@buffalostate.edu .